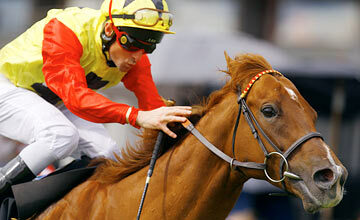 Like Buying Money...: Royal Ascot Day One - Unbeatable Frankel? Royal Ascot always gets off to a bang with the three opening races being Group Ones & this year the highest rated horse in the world, Frankel, is in the opener the Queen Anne Stakes. It should be a cracking day's racing & we've taken a look at all of the races to come up with a couple of value bets at big prices. As ever you can follow us on Twitter @LikeBuyingMoney by clicking the Follow button at the top of the page. The King's Stand Stakes sees a big old field of 23 runners & that may be aprtly down to some of these horses wanting to avoid running in the Golden Jubilee against wonder filly, the monstrously huge Black Caviar, it makes for a really interesting race & there looks to be a bit of value available too. We're not quite sure why but Ascot seems to be a course where it helps to be a bit of a specialist, it isn't too undulating & the bends seem very standard so you'd guess that the surface must suit some types more than others & we've looked at those with a bit of course form & the one that stands out at a huge price is Henry Candy's Amour Propre. Amour Propre is a lightly raced horse for a 6 year old with just 14 runs to its name but 5 wins from those races which indicates the consistency the gelding runs at & one of those wins was a course & distance win, in softish ground, as a two year old in the Cornwallis Stakes. Sole Power is fairly well fancied for this & at single figure prices with some firms but Amour Propre gave that one a comprehensive beating at the Curragh last August & although he was receiving five pounds that day there's no way Amour Propre should be a 40/1 shot & should be backed with a bit of confidence each way. We're big Bated Breath fans but the give underfoot probably won't play to that one's strengths & Roger Charlton's form seems to have slightly dropped off & it's difficult to know what to make of foreign raiders Joy & Fun & Little Bridge although often our horses aren't the best sprinters around so they must have a chance. Australian horse Ortensia is probably the best of the foreign contingent & if you only want to back a horse to win we'd probably lean towards that one at 5/1 but we'll happily stay with our overpriced pick. The Queen Anne stakes really does look like being a formality for the great Frankel, he's already beaten five of his ten rivals here with some authority & his top rated rival is Excelebration who he's beaten 4 times so far & should make it five. Therefore, assuming Frankel is going to win, the betting has to be done in the 'without Frankel' market where the very consistent & classy in his own right Excelebration leads the market at 11/10 & is a very good bet, chief rival in the market Strong Suit hasn't run since the Breeders Cup in November & O'Brien's colt is probably better anyway. Joseph O'Brien shouldn't get so excited that he actually tries to ride Excelebration to beat Frankel, he'll ignore what he does & ride his own race & that should guarantee second & if anything 'strange' happens with Frankel he'll be best placed to take advantage. 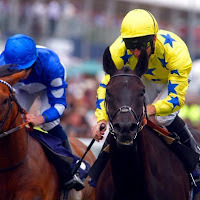 Other than Excelebration we also really like the chances of one of very favourites in Side Glance, Ascot is a specialists' track & Andrew Balding's charge is a two time course winner plus came 2nd of 28 in a very competitive heritage handicap. It seems that Side Glance takes a while to get going in the season as his first two runs were below par efforts but he came back last time & won pretty well at Epsom & beat Worthadd fair & square so it seems odd that rival is ahead of him in the betting. At 16/1 in the without Frankel market Side Glance is a very solid each way bet & we'll team that up with the already mentioned Excelebration bet to give ourselves plenty to cheer even whilst Frankel streaks away.